If you’re selling online, you’re probably at the stage of creating or refining your sales strategy. 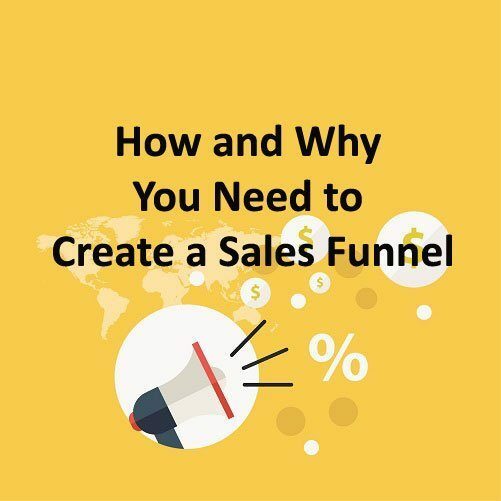 Even if you haven’t considered making any changes to the current setup, you should think about the sales funnel and how this strategy could be improving your sales. Sales funnel is the term used in digital marketing to refer to the process of acquiring customers. To understand it, you need to have in mind that the customers go through a specific journey from the moment they become aware of your brand and your products until they eventually buy from you. This journey consists of several phases, and during each of them, you lose a certain number of customers. This is why the whole process is called a funnel. Just envisage the real funnel. At the top, this funnel is the widest. This means that you’ll get the largest group of people at the initial stage. With your promotional strategy, you organize steps that take them through this funnel, and the number of potential customers decreases with each new phase. To understand how to use this concept to increase your sells, take a look at the sales funnel phases. Awareness – During this stage, the potential customers (also called prospects) become aware of your brand and your product. To be able to start with this phase, you’ll need an online presence and a strategy that will help you reach a new audience, regardless if you’re counting on the organic reach with outstanding (and viral) blog content or different types of paid advertising. Interest – The second stage is where the prospects are trying to find out more about you. They explore how they can benefit from your business, how you can help them, and generally, they make a decision whether your business is something they’ll be interested in. In essence, they analyze their interest and take time to evaluate your business. Decision – This stage is where the prospects make some kind of decision. They either decide to subscribe to receive updates from you, they reply to your email, claim your offer, join your competition, etc. Basically, any action you’re doing to engage your prospects should yield results in this third stage where they either lose interest or make a decision to take part. Action – The final stage is the purchase where the prospect becomes your customer. A series of activities in your sales funnel is designed to achieve this goal, to encourage customers to complete the purchase. How to create a sales funnel? To create an effective sales funnel, you’ll need to go through a process of examining your business, your product, your audience and to come up with the best way to create a strategy that works. Your prospects are people you have something in common with. Those are the people who are likely to be interested in your business, primarily because they can benefit from it in a certain way. Now ask yourself this: Who are your potential customers? Try to define this group being as specific as possible. Also, think about how they feel when they are at the moment of purchase. Are they desperate because their laptop has died, and they’re reaching out to you for a new one? Or are they looking to treat themselves by booking a spa appointment in your salon? Then think about your past experience. Have you had any particular problems or challenges to reach customers? How effective your strategies were in the past? In the end, defining your buyer persona can additionally improve your understanding of your audience and help you with creating a campaign that is more focused and thus more efficient. If you want to explore the topic of buyer personas and how to create them, check out this guide: How to Create Detailed Buyer Personas for Your Business. Each of these methods of generating traffic has specific activities and processes that enable you to apply and use them. For example, if you go for paid search engine traffic, you’ll need to explore Google AdWords and the process of setting up a campaign through this platform. You’ll also need visual and written content for the ads you’re going to run with Google AdWords. If you want to take the time and find out more about paid search engine advertising, you’ll benefit from this Search Engine Marketing course. Through these activities, you’ll start attracting traffic and generating leads. Eventually, a part of those online users will become your prospects. They’re the ones starting the journey towards the other end of the sales funnel. You should also explore different lead generation strategies and how each of them could be applied to your business, and here’s a helpful resource: 14 Lead Generation Techniques. When you attract new visitors and start generating leads, you’ll need engagement strategies to take those prospects further down the sales funnel. It’s helpful to know that there are various reasons to engage prospects first before you offer them a product to buy. What these strategies do is indirectly convince your prospects to buy from you. Look at the situation this way. These prospects are already in the funnel, so they do have some interest in your brand. However, they still haven’t decided to buy, which means you need to help them reach the end of the funnel, using these engagement strategies. Most communication and interaction with your prospects will probably go through email. Still, in this engagement stage, you’ll use multiple platforms to increase authority and offer content that is relatable. Consider various platforms such as your blog, live video, social media, etc. to maximize the reach of your content and to offer a diverse type of content. Finally, when you get your prospects through the funnel, it’s in that moment that you need to convert them. At this point, you offer them a product or service you know they are interested in. You also know that they have been engaged with your business since they are still in the funnel. This way you get to keep prospects that are most likely to buy, which makes your job of selling much easier. Also, the selling process can be much more personalized because, at this stage, you know your prospects quite well. Once the process is complete, you have a certain number of people that have gone through the funnel successfully. On the other side, you have those who have lost interest along the way or just weren’t persuaded by your strategy. All of this helps you define what’s working for your business, and what might not be worth the effort. 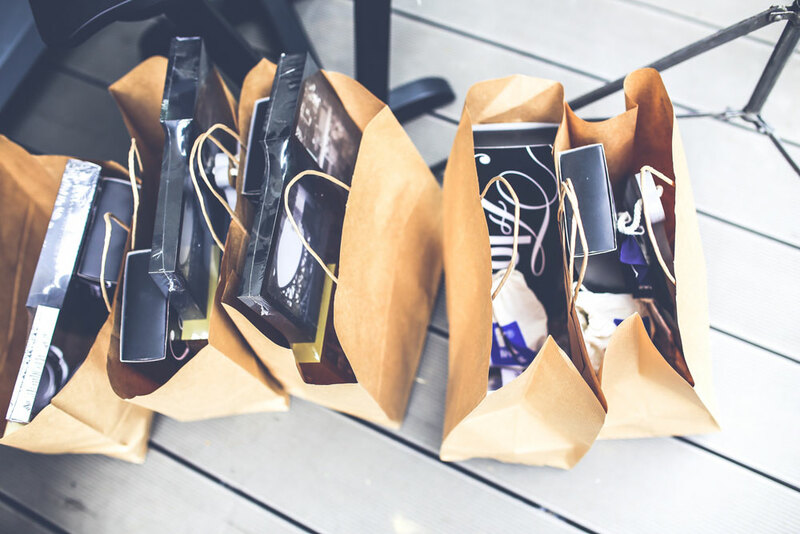 Since you’ll be starting the sales funnel process all over again, experience from the prior campaigns is an asset that you really need to take advantage of. Actually, this experience is perhaps the most valuable information regarding the direction you should take with developing your sales strategy and shaping your own custom funnel. It isn’t possible to define a funnel and activities everyone should follow because each business is different and the process of finding and converting customers requires a different approach and a different dynamic. It isn’t something you can do with a particular pattern or template. This is why you need to work on developing your sales funnel. As prospects go through the funnel, they go through a unique buying experience. They’re guided by your persuasion power and skillfulness at presenting your product in a way they’re most likely to relate to and benefit from. Think about sales funnel helping you create a personalized sales experience. Saturation of the market is probably one of the main reasons why a direct sale isn’t as effective as it used to be. This sales experience where the customer sees the ad and is invited to buy the product is becoming to feel too intrusive and something online users are more likely to ignore. After all, they do face an awful lot of those ads on a regular basis. Instead, digital marketing uses this refined technique of taking the potential customers through the funnel to personalize the experience, to establish the relationship, increase trust and eventually sell with more success. In the end, the sales funnel is used again, to attach new prospects, which will start the journey all over again. Make sure you’re available for the potential questions, issues, etc. Repurchase phase – The prior phase ends with another successful purchase from the same customer. This signifies success of your strategy and proves the quality of your product or service. These two final stages are very important because they’re much shorter. You don’t need to go through all the stages of the funnel. Your potential customers are already in the funnel. You just need to convince them that they should stay there. Also, this strategy is more cost-effective, because there’s no investment in traffic and lead generation. The great thing about this approach is that it’s applicable to different types of businesses, regardless of their size and structure. Regardless if you’re independent blog owner who’s trying to sell a book on Amazon, or you have a large-scale company that offers multiple products, creating a sales funnel is a recommended strategy to boost the potential of your sales. You just need to have in mind that sales funnel is something unique. It provides an engaging sales experience through which the customer slowly discovers your product. You’ll probably notice that all major email marketing platforms nowadays include automation tools that are needed in order to create a sales funnel. This is great as you can automate pretty much everything. The ultimate goal for successful marketers is to create a sales funnel that has a positive return on investment. Once the funnel is in place, it’s a just a matter of flipping the switch on and letting the funnel do its thing. Leads enter on one end, and customers emerge on the other. As long as the cost per lead is less than what you earn from each lead over an extended period, you can afford to keep this running. Just make sure that you follow all the statistics, tweak the marketing emails, landing pages and other components of the sales funnel from time to time as you need to make sure it’s well optimized. Did you find this article interesting? Do you want to learn more about this topic? Get certified and learn more about this important area of online marketing, with this free E-Commerce certification course.